John Ferguson’s purchase of the Dubawi colt out of Group 1 Poule d'Essai des Pouliches winner Beauty Parlour from the Wildenstein Stables Ltd Dispersal (Lot 472) for €1.4 million topped a vibrant renewal of the Goffs Orby Sale that saw increases in turnover, average and median and a clearance rate of 84% across the two days. An early highlight of today’s trade was the New Approach sister to Group 1 performers Cuis Ghaire and Scintillula from Jim Bolger’s Redmondstown Stud (Lot 250) purchased by Peter & Ross Doyle Bloodstock for €675,000. Mountarmstrong Stud’s Shamardal filly out of the five time Group 1 winning champion race mare Alexander Goldrun (Lot 358) was another stand-out, selling to Japanese owner Koji Maeda for €600,000. First time visitor to Goffs Justin Zayat meanwhile purchased four at the Orby headed by a son of Declaration Of War out of a Listed winning daughter of Irish 1000 Guineas winner Nightime (Lot 272) from The Castlebridge Consignment for €475,000. For more results from the Orby Sale please click here. “Twelve months ago we were reflecting on a remarkable Orby Sale with no less than four yearlings realising over €1 million. That we have made proper advances in both average and median this year with a single millionaire is testament to the depth of the trade over the two days which is also highlighted by a very good 84% clearance rate. The most notable aspect of Orby 16 has been the depth of the buying bench with our regular supporters from Ireland, Britain, across Europe and further afield finding strong, top of the market competition from a number of new investors from USA, the Far East and Australia following concerted and proactive marketing campaigns by our international agents and the team at Irish Thoroughbred Marketing. As we worked to attract them we did so safe in the knowledge that the catalogue had advanced again as vendors continue to send us a greater share of their best and those that did so reaped the reward of a truly international sale. As ever we are indebted to each and every one for entrusting us with their yearlings and will only redouble our efforts on their behalf with every sale to repay their faith in the Goffs service. Of course today had an added dimension with the first part of the Wildenstein Stables Ltd Dispersal and we would like to again record our thanks to David Wildenstein for choosing Goffs. 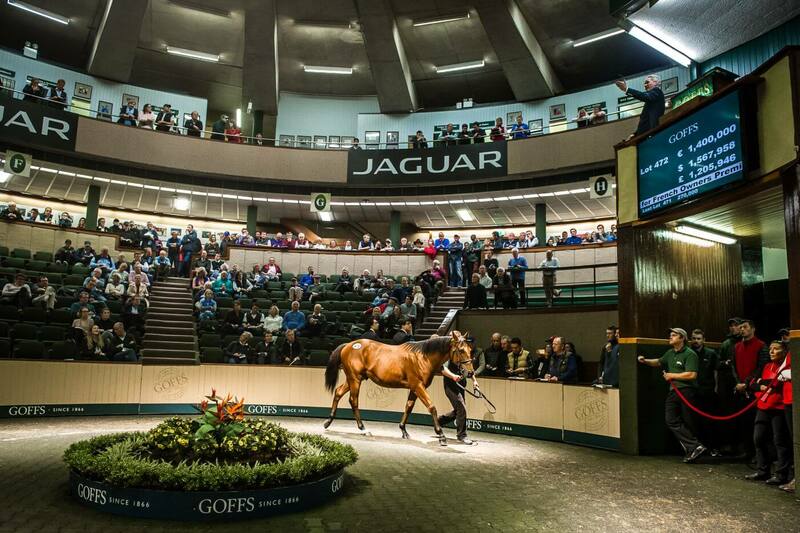 We do not underestimate the significance of our appointment and are delighted to have generated so much interest in the iconic pedigrees that came under the Goffs hammer today headed, of course, by the sales top price of €1.4 million and then some very lively bidding for the older horses that finished the day. We look forward to Part 2 in November with a truly mouthwatering collection of broodmares, fillies and foals; rarely is such a superior selection of thoroughbreds offered for sale at public auction and the Goffs Team is incredibly proud to do so in our 150th Year”.